Every year the National Miata Club sponsors a national Miata gathering. Peachtree has hosted three (more than any other club) over the years. Our latest was Miata Games in 1996 at Road Atlanta. 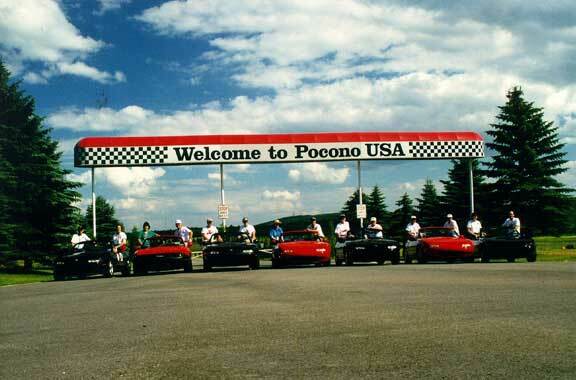 The national event in 1998 was held in the Poconos Mountains of Pennsylvania by the Delware Valley Miata Club. Six cars from Peachtree decided to drive together up to the Poconos. We took the Blue Ridge Parkway on the way up, stopping in Gettysburg for site seeting, and came back through Washington D.C. on the 4th of July.